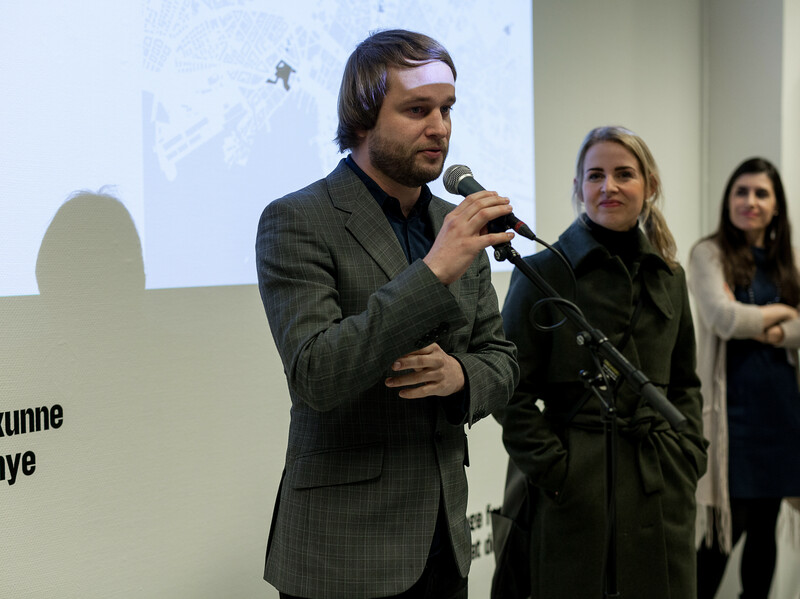 The City of Dislocation opening event took place on Thursday 21st February 2016 in the OSLO PILOT Project Room. This extensive exhibition project was conceived and developed by architects Johanne Borthne and Vilhelm Christensen, curator and writer Martin Braathen and architectural historian Even Smith Wergeland in collaboration with OSLO PILOT curators Eva González-Sancho and Per Gunnar Eeg-Tverbakk. City of Dislocation explores the historic challenges currently facing the city of Oslo. An increasing number of the city’s historic buildings are being abandoned and face closure as cultural and social institutions relocate to new, custom-built premises. This is happening at an astonishing pace, not only leaving the physical trace of the buildings, left as empty shells, but also draining traditional neighbourhoods of their main architectural and institutional assets.